To capture more eyes and clicks, marketers are leaving no stone unturned when publishing online content. Enter native advertising. Marketers and publishers alike have embraced the practice of buying space in editorial publications to boost exposure of branded content. A study recently released by the Online Publishers Association (OPA) reveals that 90 percent of digital broadcasters anticipate offering some form of advertorials within the year. In the future, companies will find native advertising campaigns are easier to launch, but they must ensure any efforts are carried forward with best practices and absolute transparency. Seventy-three percent of publishers already offer native advertising to marketers, the study found. OPA President Pam Horan explains that advertorials are a natural outcropping of custom-content sharing projects that publishers have started to offer brands. Marketers recognize the vast potential that comes with the wide-reaching visibility recognized publications possess. According to the report’s findings, 81 percent of marketers are looking to increase audience engagement and promote brand visibility through native ads. 81 percent of marketers are looking to increase audience engagement and promote brand visibility through native ads. It sounds almost too good to be true – companies get to publish their blog content in a forum that has an impressive following – and in some cases, it is. Esteemed magazine The Atlantic came under scrutiny when it printed an article praising the accomplishments of the Church of Scientology. Since this scandal, studies have shown internet users aren’t savvy when it comes to advertorials yet, and only 5 percent of Americans can spot them in a lineup. Brafton reported on both Google and the Federal Trade Commission becoming involved in the issue, requiring brands and publishers to make it obvious whether web content is paid or organic. Google threatened to remove domains from search rankings if they violate its transparency guidelines, which would undercut SEO value gained by the practice in the first place. 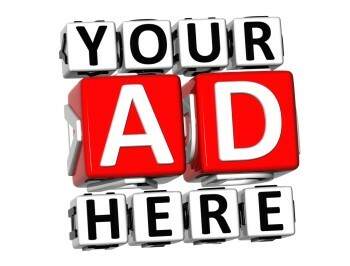 79 percent of brands understand that native ads must clearly be labeled as ad content. Publishers are privvy to this problem. According to OPA, 79 percent of brands understand that native ads must clearly be disclosed as ad content. Therefore, the association includes labeling as a best practice for advertorials to ensure transparency and clarity. Publishers also press the importance of bringing the same promotional tactics to the table such as creating news content that provides value and making it easy to discover in search and on social networks. “The findings underscore the fundamentals, namely that successful native advertising programs rely on an inherently compelling destination … and that the content itself has to reflect the quality expectations of that audience to warrant engagement,” says Horan. Basically, the same principles that help companies achieve success in organic results will provide wins in paid advertising space.